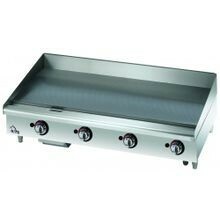 With a commercial-grade griddle, flipping burgers, eggs and pancakes has never been easier. 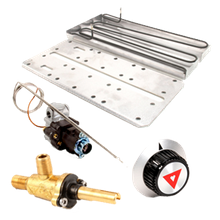 Commercial griddles are designed with heating elements below or embedded into the griddle plate, which then heats the entire cooking surface for an even and consistent end-product. 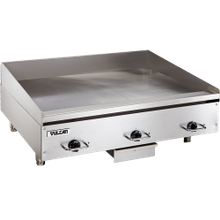 Choose a gas, electric or induction griddle, and from a variety of sizes, styles and utility types, to fit the needs of your restaurant. 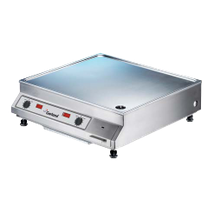 For restaurants, diners, and fast food chains that require continuous use of their commercial griddle, we suggest a heavy-duty plate to accomodate to the large-volume of orders, which require a quick recovery time. 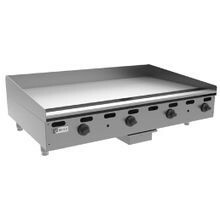 Increase productivity and reduce utility costs with a top-quality commercial griddle for your foodservice operation.